We are counted among one of the eminent Placement Consultants in Jaipur. We cater to provide Campus Placements across India. We work in association with a large number of companies which deals in IT / ITS Software, Human Resource, Finance, Sales & Marketing, Retail, Engineering, Telecom, FMCG, Manufacturing, Operations, and Export & Import. 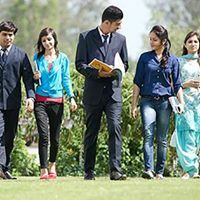 Our main objective in providing Campus Placement is to identify the talented and qualified professionals, and provide them with an opportunity to work with reputed companies. This entire process enables to reduce the time for a client to pick the candidates according to their need.